Former Australia coach Darren Lehmann is the latest who wants Steve Smith, David Warner and Cameron Bancroft bans to be set aside. Lehmann was the coach when the ball tampering saga took place in South Africa, and stepped down in the wake of it. 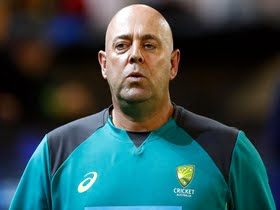 “I think they should be back but it’s up to the board to make that decision, not me,” Lehmann told Sydney Morning Herald according to a report in Indian Express. “I think the general feeling around Australia, certainly the people I talk to, is they want them playing again, at worst domestic cricket. Now the findings have come down they should be reviewing the sanctions on the three players,” he added. A recent review found Cricket Australia to be “arrogant and controlling” . “The findings of the report affirm this. This is extremely significant, as there is now independent verification that the system and culture were contributing factors,” ACA chief Greg Dyer said in a statement. Cricket Australia chairman David Peever however has stated that the bans would remain in place.